Overview: Early morning eclipse. Maurice Sluka interviewed. This entry was posted in 2007, Newspaper Articles on August 9, 2007 by glen_h. 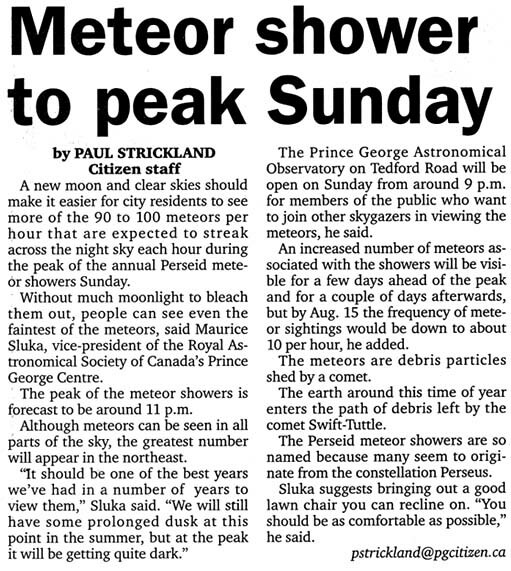 Overview: 2007 Perseid meteor shower. Maurice Sluka interviewed. This entry was posted in 2007, Newspaper Articles on August 8, 2007 by glen_h.